GMG is proud to announce the world's first three and a half inch single-pipe conversion for the new BMW F80x chassis. With the use of the highest grade T-304 Stainless Steel and hand fabricated resonators all made right here in the USA. The BMW M4 goes back to a straight-six cylinder which made alot of BMW fanatics happy. After many countless revisions of the design of this exhaust, the GMG Team has now successfully achieved a more aggressive and unique sound for the BMW M4 that any BMW enthusiast could appreciate. GMG wants to make your experience with your M4 better. Introducing the only 3.5 inch system on the market. It is made of 304 stainless steel tubing and includes two resonance chambers. These resonance chambers eliminate drone. 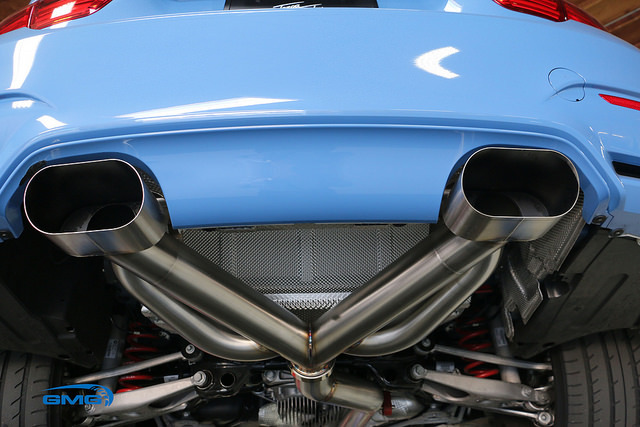 The diameter of this exhaust is the perfect complement to the six-cylinder engine the BMW M4 uses. The design of the GMG exhaust system creates the best possible combination of both additional flow and a unique exhaust tone. 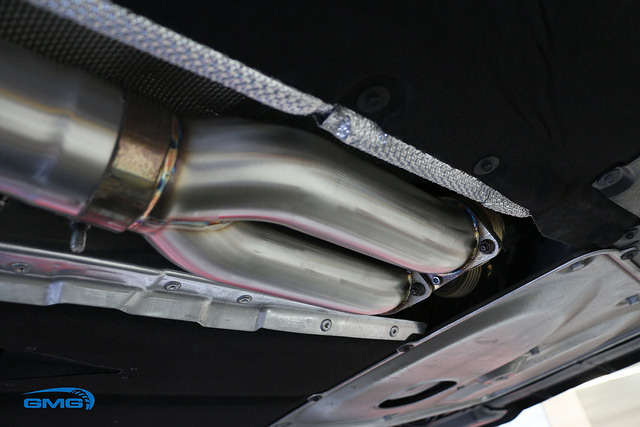 All of GMG's exhaust systems are designed with race proven technology, used with the highest grade T-304 stainless steel. All of GMG's exhausts are completely welded by hand by expert fabricators all made in the USA. Not only does this exhaust provide its aesthetics but it also provides significant horsepower and torque gains, even with the BMW "Torque-Control" computer. Even with the torque-control you can expect real gains! The GMG BMW M4 exhaust is handcrafted in the USA out of T304 stainless steel and is meticulously TIG welded to aerospace specifications with great precision. Using stainless steel packing material in the mufflers, the GMG exhaust is designed to withstand extreme exhaust temperatures and high intensity acoustic pressures. This is one of the key advantages of the GMG exhaust system since many competitor exhaust systems use fiberglass packing instead to lower costs, and they are prone to rapid deterioration. Vehicle Model Years Part No. 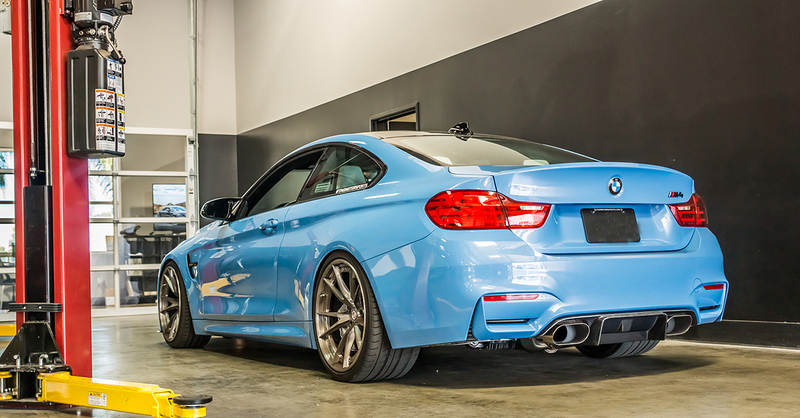 Installation for the BMW F82 M4 GMG is classified as moderate hard. Professional installation is highly recommended for this product.